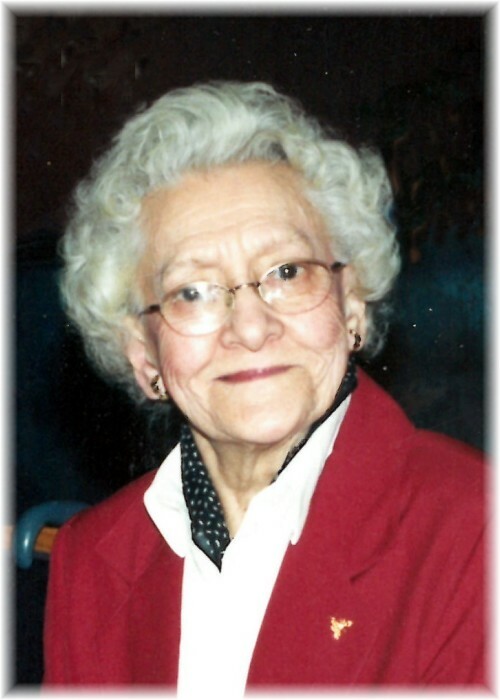 Beatrice Hanke of Dauphin, Manitoba passed away on Wednesday, March 28, 2018 at the age of 90 years. Bea Hanke was born in Fairlight, Saskatchewan to Peter and Doris Uhryniuk. She was the youngest of seven siblings. At the age of nine, her family moved to Plumas, Manitoba where she attended school. After graduating she worked in Winnipeg and Victoria, British Columbia. Eventually she moved back to Plumas and married Ernie Hanke in 1950. They moved to Sifton, Manitoba and raised seven children. She was actively involved in her church as organist and choir leader. She was also involved with the Sifton Community Center and the 4-H. In 1979, Ernie, Bea and the younger children moved to Dauphin. While living in Dauphin, mom was very involved with the Sunday choir and the Ecumenical choir. Mom also worked at the Roadway Inn and Clark’s Cleaning. After retirement, mom spent her remaining years enjoying her grandchildren, great grandchildren, gardening and doing her favorite word search. Bea was predeceased by her husband Ernest Hanke in 1988 and daughter Janine in 2014. She is survived by daughters Pat (Archie), Doris (Frank), Vina (Ric), Cheryl (Leonard) and sons Keith (Cheryl Lynn) and Tom (Kim). She had twelve grandchildren and nine great grandchildren. Funeral Mass was held on Saturday, April 7, 2018 at 11:00 am from in Dauphin, MB with Father John Legitimas officiating. Interment followed in Riverside Cemetery in Dauphin, MB. Should friends so desire, donations in memory of Beatrice may be made to St. Viator's Roman Catholic Church.